Ensuring the best accesibility of your website on mobile devices can be achieved by various optimizing techniques. A mobile version of your website allows your visitors to get the most valued content in a simplified, mobile-friendly design. Instead of loading unnecessary images or irrelevant objects, the visitor sees only the most important parts of your website. Your website is arranged specifically for a mobile version so that your data can be viewed on mobile phones and tablets, showing the site primarily as a vertically arranged sequence od information. 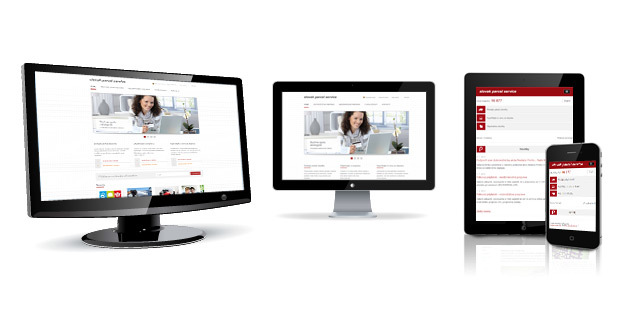 Mobile versions are mostly suitable for websites where only some data is displayed in the mobile version, or for websites where the client doesn‘t plan to invest in responsive design. Mobile versions are usually used on sites where data is published regularly. Therefore, a mobile version is more likely to be used for news portals or online newspapers with information on cultural events, weather, stock reports, websites that offer learning courses and e-shops with products and services. Using a mobile version of your intranet or CRM is also an advantage, which may significantly increase company efficiency. When creating a mobile version we can optimize your website, e-shop, intranet or CRM for a specific type of mobile device.